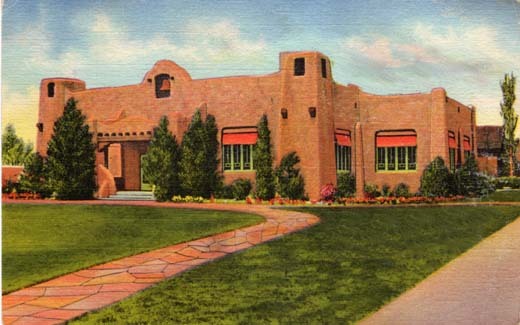 This unusual building in Pueblo architecture is the Albuquerque City Library, one mark of the culture and progressiveness of this fastest-growing city in the Southwest. 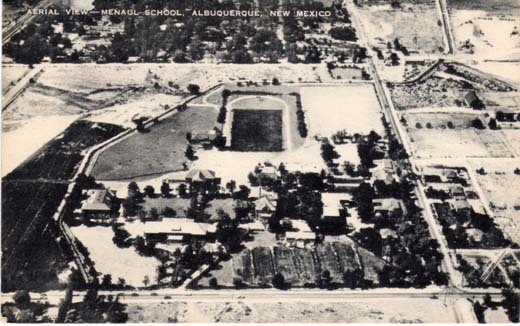 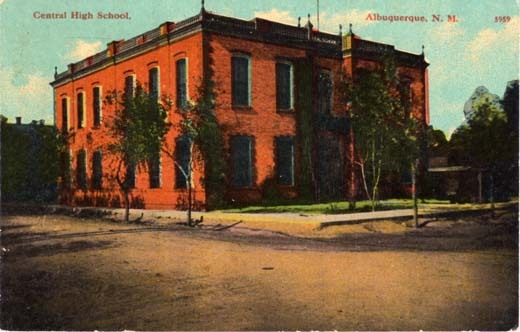 Central High School, Albuquerque, N. M.
2 cent stamp; message; Artvue Post Card Co., 225 Fifth Ave., New York, N.Y.
St. Anthony Home For Boys, Albuquerque, N. Mex. 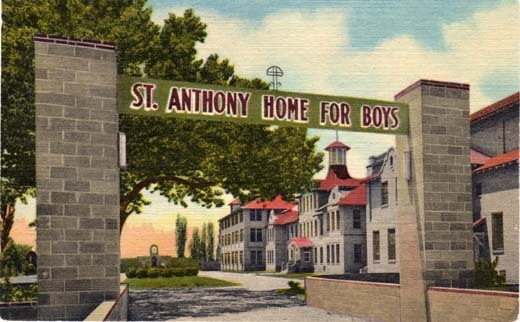 Founded in 1913, Operated by Sisters of St. Francis for the purpose of caring for orphaned, homeless, neglected and abandoned boys of every color and creed. 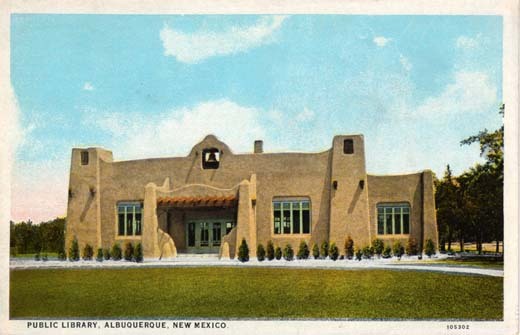 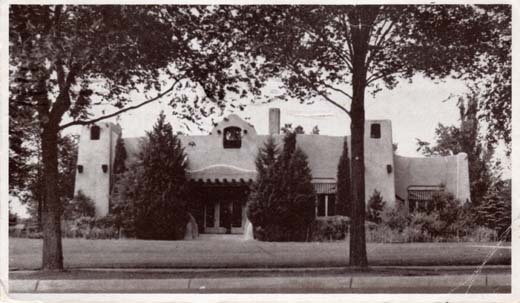 Southwest Post Card Co., Box 665, Albuquerque, N. M.